was perusing Gates website and found they now offer a 6 bolt belt cog. naturally I was intrigued. ordered the cog/belt/pulley then collected some parts from my shop. while waiting on the parts was hit by a car on my roadie (also a fixie, by happenstance) so the project got shelved for a couple of weeks. completed it once my palms healed up enough and have since been out flogging it in Cameron Park. rides smooooooth with no drivetrain flex or tight spots. it will be interesting to see how the belt holds up to the task long term. Last edited by monogod; 07-22-2015 at 04:49 AM. 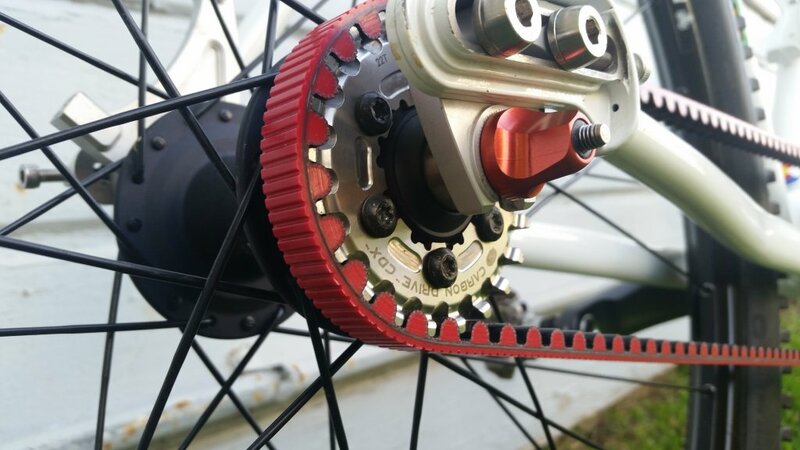 yeah, the drivetrain is very smooth. 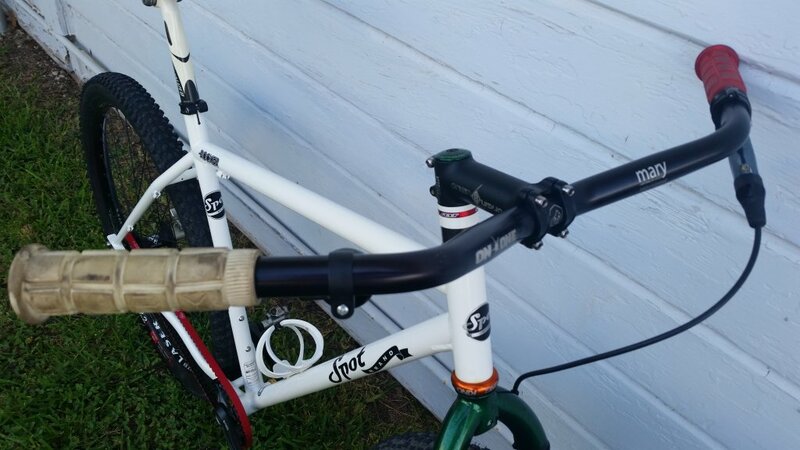 you won't regret it when you source an appropriate frame. What will it say that the frame has to compatible? The rear stays need to separate in order to get the belt on. Some simply state "Gates belt drive compatible". It looks plain awesome, that belt system! That's strickly for ballers. Awesome. UPDATE: over 1,000 miles of smooth, trouble free trails. 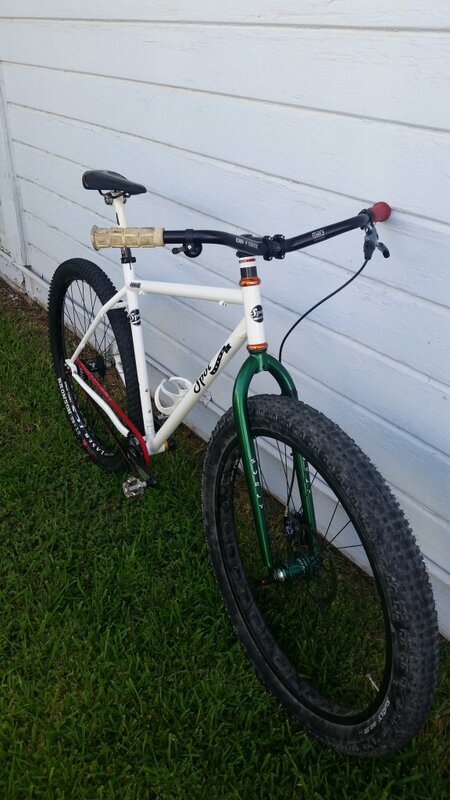 swapping out the krampy front end for a salsa cro-moto 15mm TA fork and king/flow wheel in a week or so to drop a couple pounds off the front end. Thumbs up! Looks like a really nice ride and I'm sure it is. 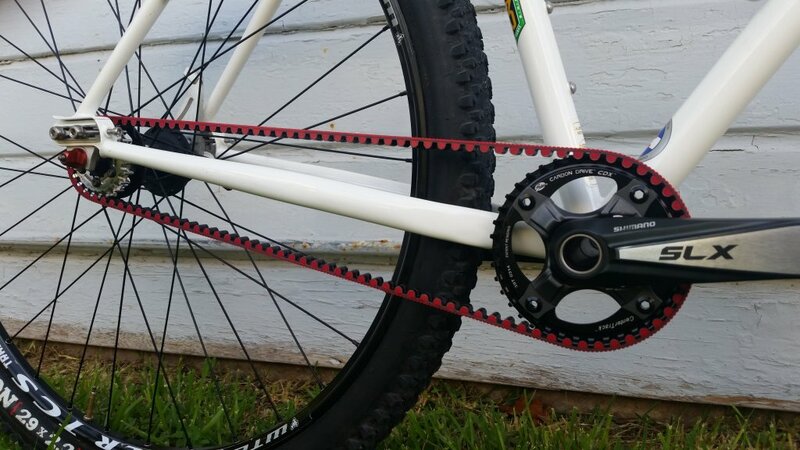 I have an older Gates belt system on my fixed gear track/street bike. It's really sensitive to belt tension but apparently this new system works better in that regard. 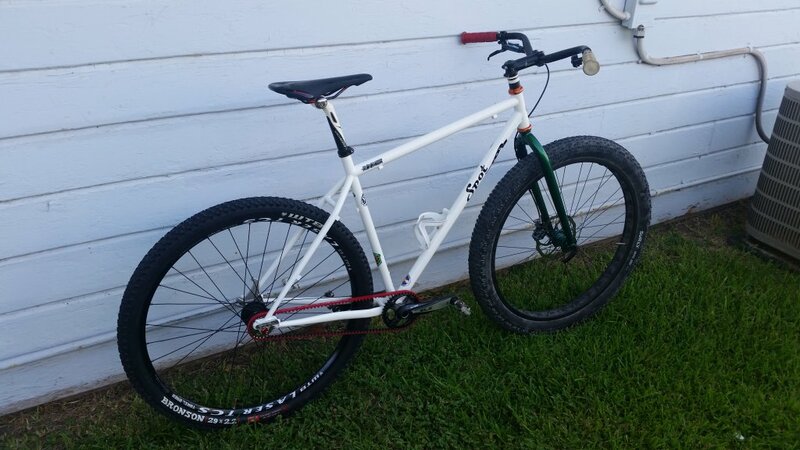 Man, lost out on an auction for a Spot Brand belt SS frame. Wanted to experience the smoothness!